It's almost time, kids . . . Happy Halloween from your friends at Jack-o'-Lantern Press! 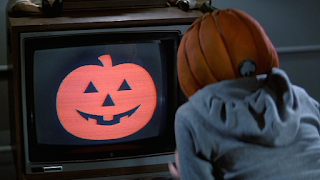 The Great Pumpkin plans to watch “It’s the Great Pumpkin, Charlie Brown,” tonight with some friends in an undisclosed, very sincere pumpkin patch somewhere in the United States as a way to celebrate the 50th anniversary of the Halloween cartoon classic. That’s right, on Oct. 27, 1966, the animated holiday special made its debut on national television, and the Great Pumpkin is thrilled that it’s still one of the most popular holiday traditions of all time. Some of the monster world’s notables attending the event this evening include the Groovie Goolies, the dancing skeletons from Walt Disney’s “The Skeleton Dance” and presidential candidate Count Dracula. A bed sheet ghost out haunting last night in the Stench Quarter of the Black Lagoon was caught in a red sheet, not a white one, and the ghost said it was his right to choose. According to recent studies, more and more bed sheet ghosts are opting for alternatives these days. The Red Sheet Ghost told reporters that he feels more like himself in red. Red recently sat down with a white sheet ghost who represents Frankenstein's Monster’s presidential campaign and discussed his dilemma. Red said he trusts the Monster and added that he will certainly give him his vote on Tues., Nov. 8 when monsters go to the polls to vote for Transyl-vein-ia president. The Wolf Man didn’t attack Count Dracula’s policy on blood banks in Transyl-vein-ia. He just attacked Count Dracula. Then Drac bit back. Frankenstein’s Monster got a claw to the face, hurled a fist for Wolf and it landed on Jason instead. Jason pulled his machete, swung for Monster and sliced Wolf. Sea Creature must’ve felt he was missing out, so he jumped in. Several monsters said they have a much clearer view of the candidates’ policies after the rumble. Monsters will go to the polls on Tues., Nov. 8 to choose who they want to rule this great monster land. No need to register. Just go vote. I don’t typically enjoy visiting other mad scientists in their home labs because it’s often a pain in the gluteus maximus to get there (these places are usually out of the way, you have to go up against life-threatening forces, cross over deadly chasms and/or moats, and you’re always tested to use some unique talent or intellect to bypass gates or alarms), but I made an exception recently following one of my latest failures. Now, I’ve blown up my lab hundreds of times before. But when you destroy your life’s work for the tenth time in a row, you tend to want to confirm that others are bigger failures than you. So I called up an old friend, Dr. Benjamin Binary, and asked what he was up to, and it turns out he’d been working on an experiment way out in Transyl-vein-ia’s Bigfoot National Park for some time and he wanted me to check it out. After having a warm conversation with the voice (we talked about the weather and how to manipulate it, the latest robot uprising and, of course, the upcoming NBA season), I asked how to get to Binary’s domicile, and the voice told me. Just as expected, it was going to be one big pain. The voice set up an appointment for me to meet with someone named Lorenzo at Footers Lodge at the foot of Bigfoot National Park. I packed up my books and was on my way. Upon my arrival, some lady at the front desk tried convincing me to turn around and go home. “You’ll never survive the journey,” she told me. She set me up with Lorenzo and he put me through a boot camp that would help me get through the park to Binary’s Lair. My trainers taught me how to survive on the land, start campfires without using computers or lasers . . . In fact, they made me relinquish all my technology. Unfortunately, it was my understanding that Bigfoot had already taken off for the human world for the Halloween season, so I had to come to grips with the fact that I might not have any run-ins with him. When I finished boot camp, Lorenzo got me fully equipped to survive my lone hike out to Binary’s place. He got me the right clothing, some boots, a survival knife, a few flashlights, a selfie stick to take photos with Bigfoot in the event he was still in town, etc. My journey through Bigfoot National Park is a story in and of itself, but it’s for another time. It’s filled with twists and turns, creatures and lots and lots of bugs. I never did come across Bigfoot, but I was running for my life on more than one occasion. I eventually made it to Binary’s lair. The entrance door was massive. I have to admit -- I was a little jealous. It had blinking lights, buttons and spinning gadgets that may or may not have had any purpose, but they sure looked cool. I located a green button on a speaker box and pressed it. The same voice I spoke with about weather, robots and the NBA greeted me via the speaker. How’d he get that sponsor? I’ve been trying to get them for years. Anyway, the voice was as friendly as I remember from our phone call. And then it became angry. 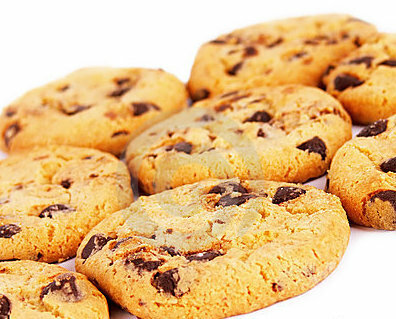 The cookies were actually quite good. They were chocolate chip. Super soft. Had to have been fresh out of the oven. I was standing in the middle of an empty, cement foyer. Then a large door in the wall opened, and beyond the doorway was a set of cement stairs that went down. I took the stairs and found myself in a large round room. As I stepped off the last step, the wall closed up over the stairwell and I was trapped. Then, in the center of the room, a large, green holographic image of someone who called himself The Guardian appeared. I’ll tell you this: Binary did not get any of this stuff at Evil-More Shopping Mart back in the Mad Science District. It was impressive. I knew it. This is why I hate visiting other mad scientists. You can never just go hang out. It’s gotta be part of some elaborate plan. A table came up out of the floor with some more of those awesome cookies. As I took a bite out of another one of those soft babies, the green man offered his apologies and said he was actually Dr. Benjamin Binary. “Silence!” he said as he changed colors to red again. I told him I’d help, provided he set me up with the cookie recipe, and then he flipped again. The red man screamed at me, told me to come closer. He complained that his other self wouldn’t let him do any of the things he wanted to do like take over the world. Just then, the red man became green. It was like a tug of war between these two entities to take over the holographic form in front of me. The green man said the red man’s plan was going to work, though. What a slap in the face. 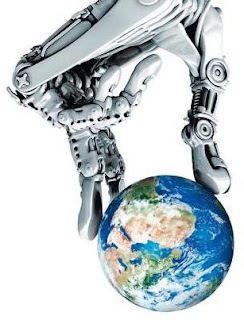 We talked about the weather and how to manipulate it, the latest robot uprising and, of course, the upcoming NBA season, and then he told me how I could help end the red man. No, it’s gonna be me. So I set out to help him end the red man. I’d deal with the green man and Binary later, I thought. I went to a circular panel on the floor near the hologram, opened it and pressed the green and red buttons simultaneously. The green man came back with more instructions and a warning to hurry. I don’t remember anything after I typed in the code. When I woke up in the hospital this morning, I asked how I got here and one of the nurses told me someone in a cloak dumped me off at the front door, then fled the scene in a rush. I don’t know if the red man or the green man was victorious over poor Dr. Benjamin Binary. All I know is that there were reports of a huge explosion in Bigfoot National Park two days ago, which means, in my book, whoever won didn’t take over anything. So the world is still up for grabs. I’d say it’s time for me to get back to my own work. The Mad Scientist is a mad man with evil on his mind always and plans to take over the world at any given time. He lives in a castle on Lab Lane in the Mad Science District of Transyl-vein-ia. 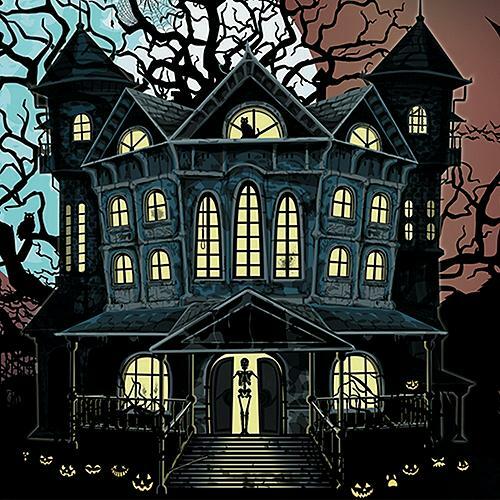 Home flippers buy brand new homes, fix them up so they look old and dilapidated, and then they pass them off as real haunted houses on Halloween night. A Monster Island skeleton, who goes by the name of The Haunter, went out to the human world (in a small Southern California suburb) this Halloween season in August and did just that. And while the home he flipped looks old and rotting on top, underneath it’s all shiny and sanitary. 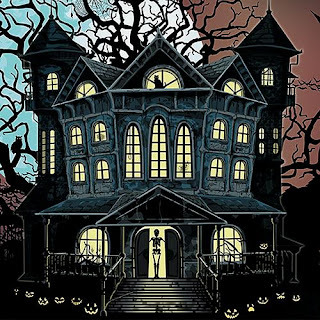 And so, if you’re planning on spending some time in a haunted house this season, think about whether you really want to go into a place that’s not truly a hazard, that’s not falling apart, that’s not disgusting and not a place that’s going to endanger the lives of everyone in it. 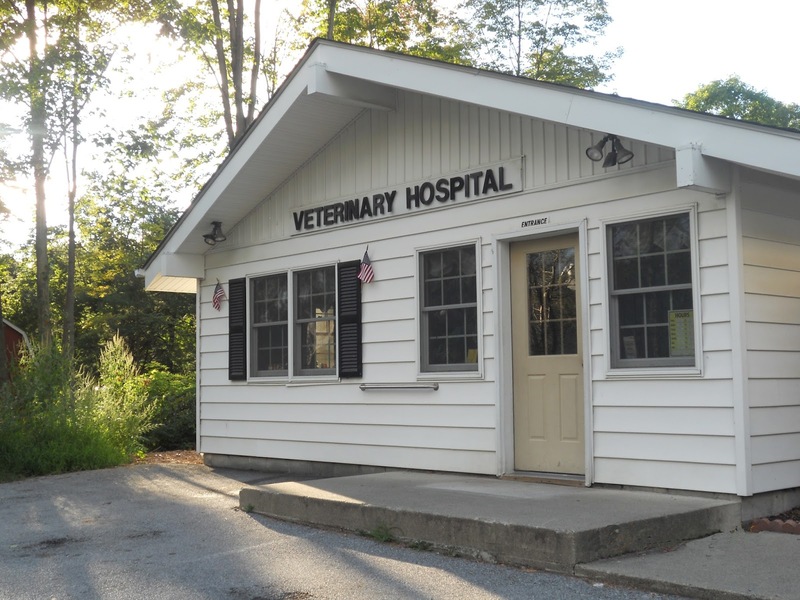 That’s the type of place that ghouls like The Haunter are trying to pass off as a “haunted.” Don’t say we didn’t warn you. 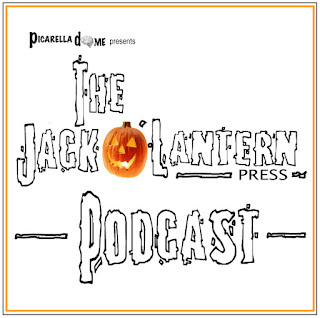 The ghouls and goblins at Jack-o'-Lantern Press launched a new podcast this week called "The Jack-o'-Lantern Press Podcast." 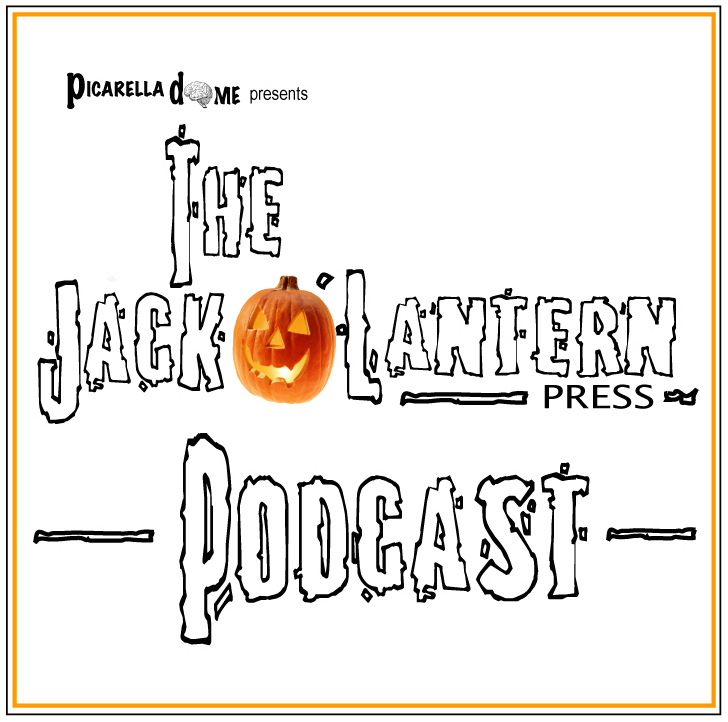 JLP creators Michael Picarella, Tom Picarella and Robert Picarella talk about and review cool things for those obsessed with Halloween and monsters. In Episode 1, the guys discuss some cool, fast-growing digital decorations you can use in your own home. They also give information about a website that will help you celebrate Halloween 365 days of the year. "We're hoping to do at least one or two more episodes by Halloween night," said JLP Publisher Michael Picarella. "And we're planning to do a podcast where we'll discuss the results of the all-too-important Transyl-vein-ia Presidential Election, which we'll post on Nov. 9th or 10th." Transyl-vein-ia will vote for a new president on Nov. 8, 2016. The five candidates running are Count Dracula, Sea Creature, Jason, Frankenstein's Monster and the Wolf Man. "It's anyone's guess who will win," said JLP Head of Research and Development Tom Picarella. "I'm still looking over the news coverage our reporters from Jack-o'-Lantern Press are bringing in. I know that before I go into the booth, I'll be able to make a more informed decision. And I'll be able to discuss that decision on the show and know what I'm talking about." "The Jack-o'-Lantern Podcast" is everything your ears have wanted to have in them next to bed bugs and cockroaches. Check it out tonight! He advertised it in many worlds as a way for individuals to go about their day without having to do anything. They wouldn’t have to think, move and, in the case of humans, experience pain, which people, strange enough, don’t particularly enjoy. Even those with missing body parts could have new ones, thanks to the brilliant science called Adaptive Reality. Professor Malcolm Sawyer was a mad scientist in Transyl-vein-ia’s Mad Science District who, two years ago, created Adaptive Reality and introduced it to mad scientists and enthusiasts during last year’s New Inventions Convention at the Mad Science Convention Center on Jekyll Drive. At the convention, Sawyer demonstrated his Adaptive Reality on a zombie who had previously lost her leg to another zombie that needed flesh. Sawyer tethered his system onto the zombie and let her roam the hall for all to see. Sawyer’s second demonstration at the convention was even more impressive. He brought a giant chicken heart onto the stage and asked it what it wanted most. It said it wanted to know what it was like to terrorize a small metropolis, if only it could move. Then, with some newly-fitted AR legs and arms, the chicken heart stood up from the folding chair it was sitting in, walked out of the building, and, from the video screen, everyone in the hall watched it stomp on groups of evading pedestrians on Jekyll Drive, knock over telephone poles and devour full-size vehicles. “When was the last time you left your bedroom?” Sawyer asked the specimen on stage. The specimen didn’t even know it had left its bedroom back in the human world. When Sawyer asked what the specimen wanted out of life, it said it wanted to do nothing but play video games. “Don’t you have to go to school?” Sawyer asked. Sawyer said there’s a whole generation of human beings that can’t deal with going to school or work or social gatherings because they fear they’ll have to deal with things like stress, letdown and situations where they’d have to think. So, with that in mind, Sawyer attached an Adaptive Reality Body Suit to the human specimen he had on stage. Once Sawyer had the human specimen fitted in the suit, he transported the then-cybernetic being through a portal on stage to the human world. Reports yesterday confirm that Professor Sawyer’s Adaptive Reality was, in fact, a major plan to control all those who purchased and used his systems. Sawyer successfully sold over 1.7 billion units to humans and monsters in various worlds over the last year. He even had doctors inserting microscopic AR units into human and monster newborns as part of their vaccinations. Then, last week, he began to manipulate all AR-controlled individuals in an effort for his own good. He had them bring him various leaders from all the worlds so he could take ultimate control of all life. And he would’ve gotten away with it if it hadn’t been for those darned kids. Late last night, AR pieces from all worlds turned toward Sawyer’s lab in the Mad Science District, and began their invasion. As of this morning, the explosions could still be heard from all over the Mad Science District. They were big. They were loud. They were endless. Professor Sawyer is most likely a goner. He will be missed. 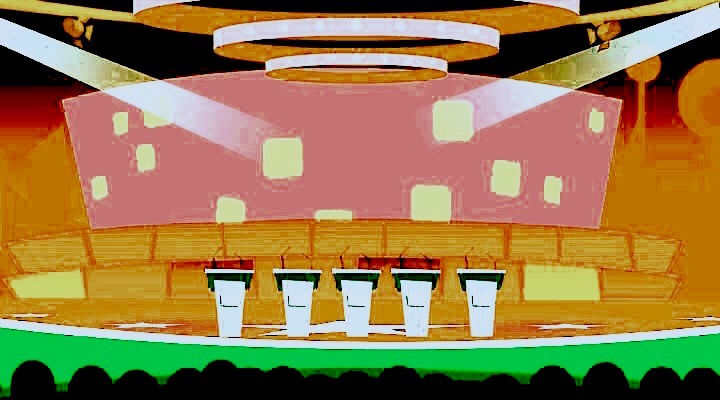 They all shook hands and/or claws before the debate last night, and then the five remaining candidates running for Transyl-vein-ia President got to it. Transyl-vein-ians were disgusted. As in previous debates and speeches, Count Dracula brought up the need for more blood banks, Sea Creature has a plan to resolve the pollution shortage in local waters, the hockey mask-wearing slasher psycho Jason talked about ways to bring more reckless teens to the area by building additional campgrounds, Frankenstein’s Monster spoke of energy and the Wolf Man howled about meat. At one point during the debate, Dracula made a weak impersonation of the Frankenstein Monster with some stereotypical grunting, and the Monster didn’t even leave his podium and use his brute strength to wrap the vampire over the head. He stuck to the issues instead. Maybe the most shocking moment came when the Wolf Man told Jason that he agreed with his slaying policies. The audience at the debate was full of dropped jaws. By the end of the evening, even the moderators had given up. They stopped asking questions and began ridiculing the candidates. Jason walked off stage for what critics are calling hurt feelings. 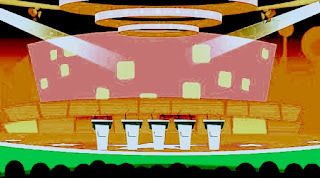 Jack-o’-Lantern Press will host a town hall debate next week at the Ghoul School in Downtown Transyl-vein-ia, and we’ll have coverage following the event. Campaign managers promised more action this time around. We’ll just have to see. The Fly is going into the human world this Halloween, and he’s bringing with him a set of telepods and a bagful of bugs to change trick-or-treaters into the hybrid insect of their choice. The Brundlefly Project, as The Fly is calling it, will be the first of its kind since 1986 when Seth Brundle (The Fly’s previous identity) first developed a teleporting science that resulted in the mutation of two beings. Fly said there’s no going back once trick-or-treaters go into a telepod. The Fly will have many Brundlefly Project stations set up all over the human world beginning at 7 p.m. on Oct. 31. To find a location near you, check the Bartok Science Industries’ website or see the full-page ad in this month’s edition of Particle Magazine. You’re in for some treatsssssssssss. 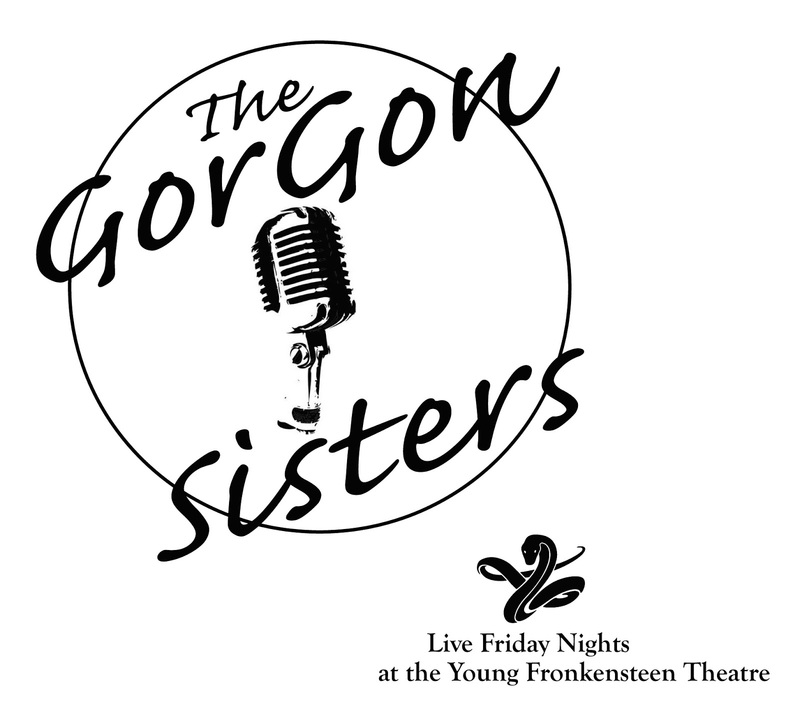 At 10 p.m. this Friday, the Gorgon Sisters will bring their high-demand singing act to the Young Fronkensteen Theatre in Downtown Transyl-vein-ia for what is said will be a weekly show. Part of Young’s deal restricts the mythological creatures from turning theatre guests who are staring into stone. The Gorgon Sisters’ music is from another time, and not even their own ancient time. After the oldest sister, Medusa, lost her head during a run-in with the Greek hero Perseus some time ago, she underwent surgery to get her head back on her shoulders. She developed a love for song and, in the late 1930s, decided life was too short -- she got her sisters together and they built up a singing act. The Gorgon Sisters’ first performances were for some skeletons, ogres and giant scorpions in Monster Island’s Gorgon Gorge. After turning them into stone and then everyone else in the region, the sisters found they had no one else to entertain. So they took take their act on the road. In 1942, they hired a manager who figured out that putting the sisters on radio and TV would preserve their fan base because the fans wouldn’t be sculptures by the end of each performance. That’s when the girls recorded “Boogie Woogie Bugle Boy” and “Don’t Sit Under the Apple Tree,” which went platinum. The cost to see the show is $15 a head (bring your own, Perseus) and maybe your life if you can’t stop staring. Doors open at 8 p.m.
For those of you who haven’t been following this second season of Jack-o’-Lantern Press, which began Aug. 1 and goes through Nov. 2 when we’ll be reporting the results of the Transyl-vein-ia Presidential Election, then be warned: Dracula is coming for you. You can, however, go back and catch up on all of our amazing content before Halloween is here. Or you can click HERE to hear the founders of the world's greatest online monster news source as they discuss the second season of monster stories during an episode of the Nightmare365 podcast. Still, Dracula is coming for you. We hope you make it to the end of the season.